Psychotherapy Meets Emotional Neuroscience: The Two Minds of Cognition and Feeling introduces new insights from the neurosciences into the nature of our emotions and feelings, and argues for a more empathetic approach to psychotherapy as a result. Respectful of Freud the neurologist and explorer of the mind, the book seeks to contextualise psychoanalytic theory with recent discoveries in how emotions are generated in the brain, as well as those around memory, to clarify key psychological processes such as projection and transference. 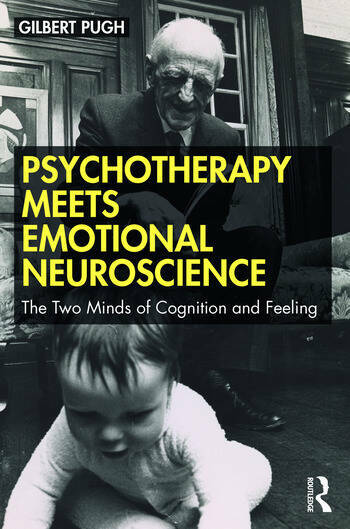 It includes sketches of a number of influential analysts whose emphasis has been on a close, affective relationship with their patients - including Ferenczi, Kohut and Winnicott - and explains why, in the light of recent research, empathy is necessary for any effective psychotherapeutic relationship. There are also chapters on the use of drugs to complement psychotherapy, and how the free energy principle can explain brain functioning. In an era when neuroscientific research has provided far-reaching discoveries into how our brains work, this clear-sighted, accessible overview will offer psychotherapists and psychoanalysts, whether practising or in training, a way to integrate these insights into their understanding of both their patients and themselves. Chapter Eight: Localisation: What goes on where in the Brain? Gilbert Pugh qualified as a doctor from Guy’s hospital in 1968 and embarked briefly on a career in psychiatry. He worked as a part-time general practitioner and medical journalist whilst training as a psychotherapist which included two analyses. He later became a full-time GP and held sessions as a psychotherapist on the NHS for 25 years. He currently works as a therapist in private practice.